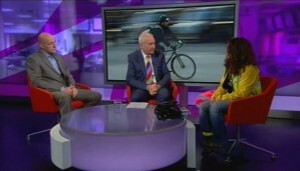 Jon Snow (centre) interviews Nicola Branch (right) and Steve McNamara (left) on Channel4 television. 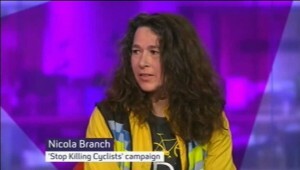 On 4th March 2015, popular Channel4 TV presenter Jon Snow interviewed Nicola Branch of Stop Killing Cyclists, a co-organiser of Monday’s protest, vigil and die-in at Westminster City Hall. (Video is embedded below). I want protected cycleways which is slightly different [to segregated cycleways]. I want the model they have in Holland [The Netherlands]. Nicola Branch was a co-organiser of Monday’s protest, vigil and die-in at Westminster City Hall. When LTDA say they want “segregated lanes” they mean the maze of disconnected fragments on back streets that don’t go anywhere, disappear at junctions so few people want to use them. The moment there’s a proposal for protected lanes that go somewhere useful – like Victoria Embankment or Elephant to Kings Cross, the LTDA fight it tooth and nail. Campaigning group CyclingWorks.London has stated that over 170 London employers support the Cycle Superhighways scheme. Westminster Council has spent ZERO on protected cycle lanes over the last 5 years; And what we want is 10% of the budget spent on protecting people cycling to work and school. We are not asking for more money to be spent on transport – we asking for 10% of the existing budget to be spent on cycling. 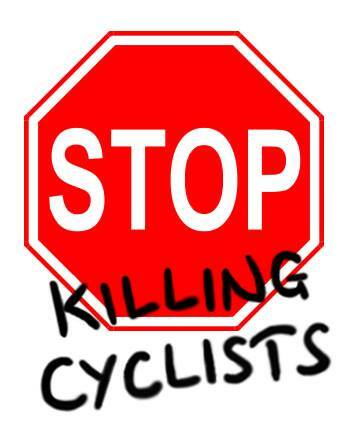 I would like Steve to come cycling with me but I think Steve is too scared to come cycling with me – many people are too scared to go cycling. In the same issue of ‘Taxi’, the LTDA reaffirmed its policies which include: ‘a complete ban on pedicabs‘; and, ‘taxi access to all bus lanes‘. Ed.Note: people who choose to cycle are permitted to do so in many of London’s bus lanes. Jon Snow is also president of CTC, and has promoted their Space4Cycling campaign.